February 6, 2012 in Tips. faster download: faster application installation or startup. faster parsing for the browser: faster startup. And smaller also means you can have far more complex applications for a given size budget. January 21, 2012 in News. January 16, 2012 in Tips. January 6, 2012 in News. You may also want to read Primoz Gabrijelcic’s article “First Steps with Smart Mobile Studio“. September 30, 2011 in Tips. Interestingly enough, it seems that publishing Metro apps for Windows 8 will follow a similar process, according to the developer preview. I’ll use the Flock Demo as an illustration, and turn it into a packaged app, that lives in Chrome and can be access off-line. September 28, 2011 in Ideas. Click below to see it in action and hit F11. September 19, 2011 in Tips. Click the image below for a little real-time verlet integration animation. September 12, 2011 in News. September 2, 2011 in News. With XE2 now officially out, it’s time for a first look at Delphi XE2 compiler floating point performance (see previous episode). 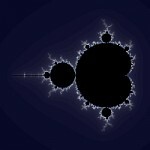 For a first look I’ll reuse a Mandelbrot benchmark, based on this code Mandelbrot Set in HTML 5 Canvas. What it tests are double-precision floating-point basic operations (add, sub, mult) in a tight loop, there is relatively little in the way of memory accesses (or shouldn’t be, to be more accurate). July 26, 2011 in News. This allows to have Pascal code like this one for instance, be compiled into this html page (or see the outcome in jsfiddle), and be executable client-side by any modern browser (the demo uses HTML5’s Canvas). In the DWS source repository, you’ll find it in “MandelbrotJS” (requires Delphi Chromium Embedded to run). In the classic Delphi spirit, it’s all about allowing both a high-level usage, while still being open to low-level usage whenever you wish or need to. This is still work in progress, only a (growing) subset of the DWS runtime library functions are supported at the moment, but most of the language is in working condition, including var parameters, classes, meta-classes, virtual methods & constructors, exceptions, bounds checking, contracts, etc. Currently, more than 85% of the DWS language & rtl unit tests pass (most of those not passing are related to Variants, destructors & ExceptObject). The JS CodeGen can be invoked directly or via DWS filters, so you can have a single-source DWS code with portions running either server-side or browser-side.